Use with an Air Pump to provide essential oxygen to your tank. 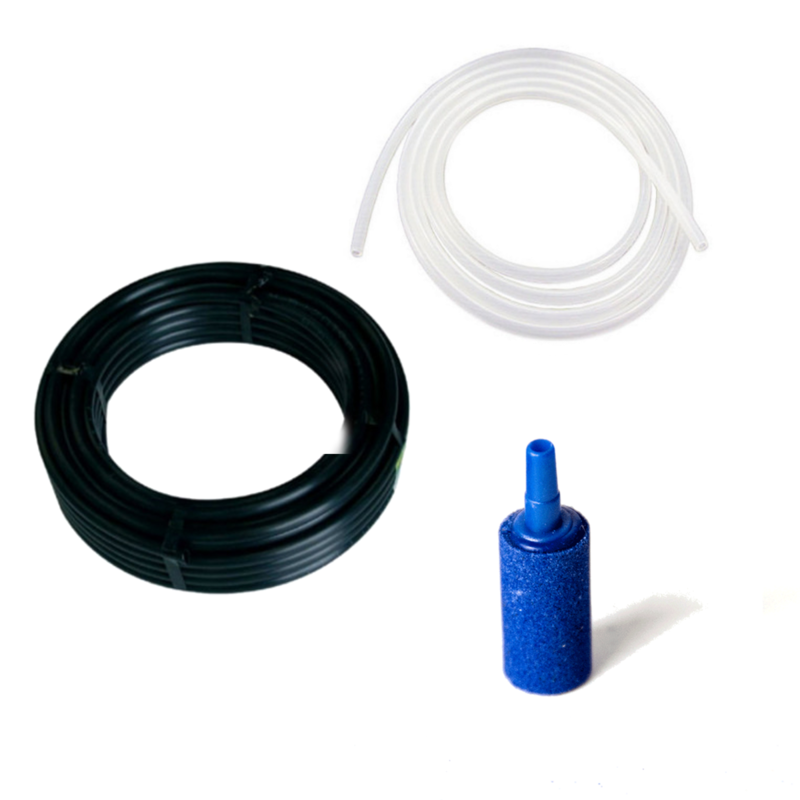 The Airline and Airstone kit gives you a variety of options to choose the best set up for your Aquarium. 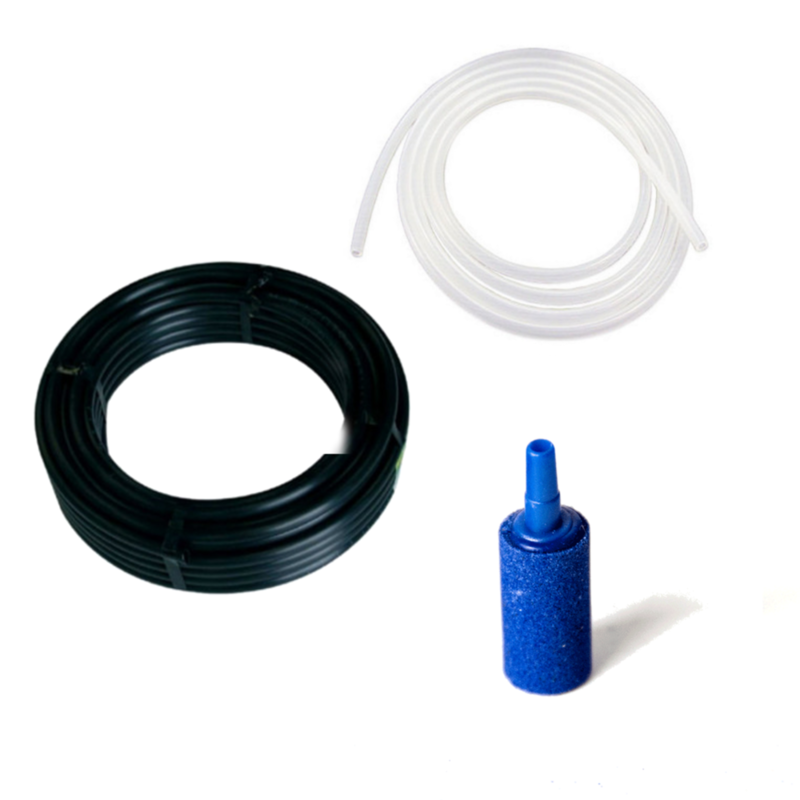 Adding an airpump with relevant airline and stones is an important part of keeping your aquarium fish happy. 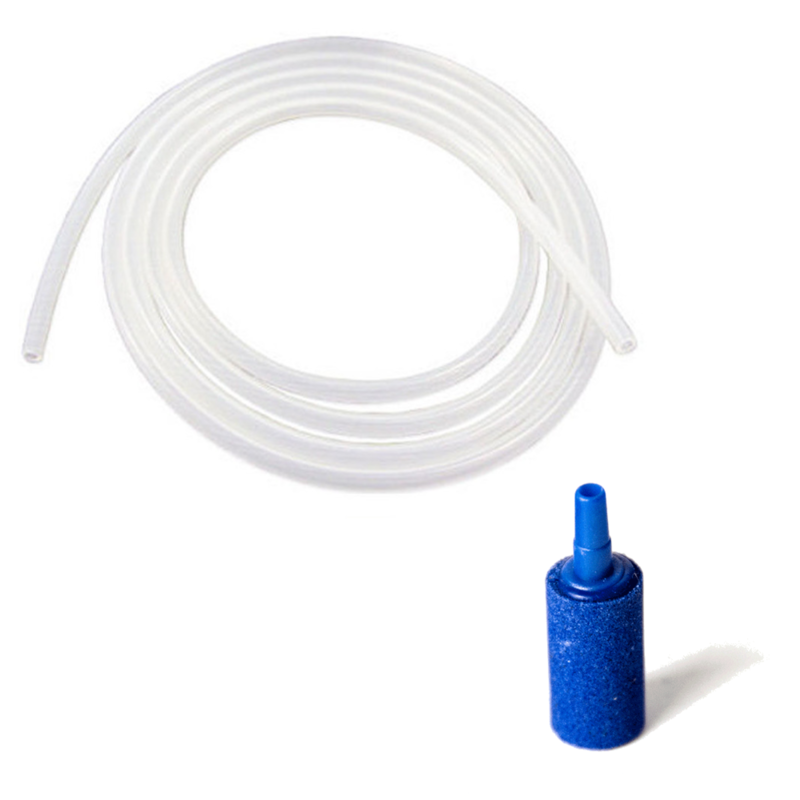 The air pump adds essential oxygen when needed. A vital part of the system is the airline and the air stone attached to it. 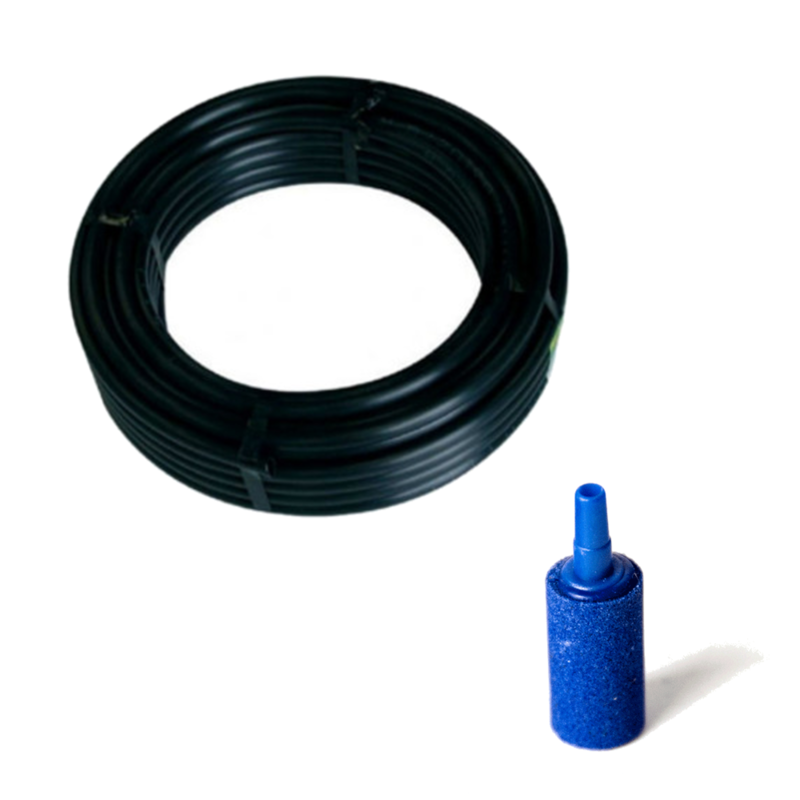 With a 4mm internal diameter and an 6mm outside diameter, this flexible and heavy duty tubing is perfect for use in any aquarium when paired up with an airstone. The airstone itself is a hard wearing, washable and reuseable stone that when attached to an airpump and airline, generates oxygen rich air bubbles. 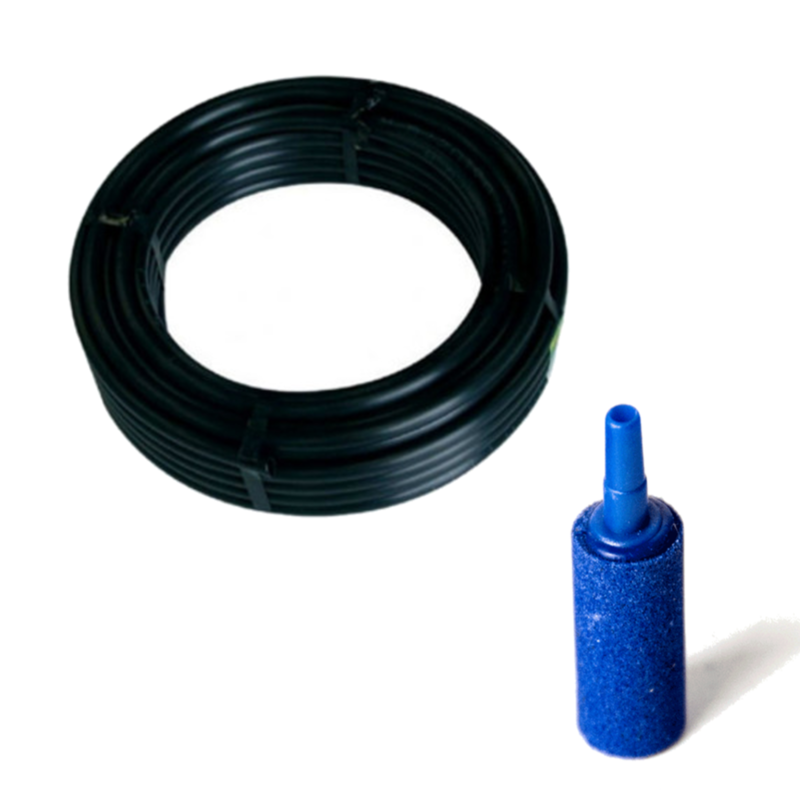 Available in a selection of sizes, simply choose from a clear or black airline with a variety of lengths, and then choose which size cylinder airstone you require. See Specifications for details. Please note: These will come in the selected sizes. ie if you select 2 x 2m you will get 2 separate 2m lengths.